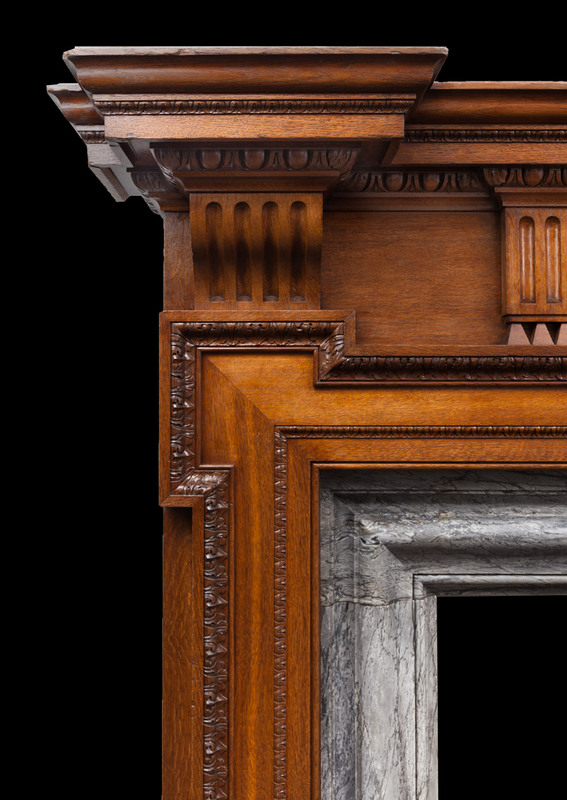 This is an extremely well carved English palladian style oak fireplace of great proportions. 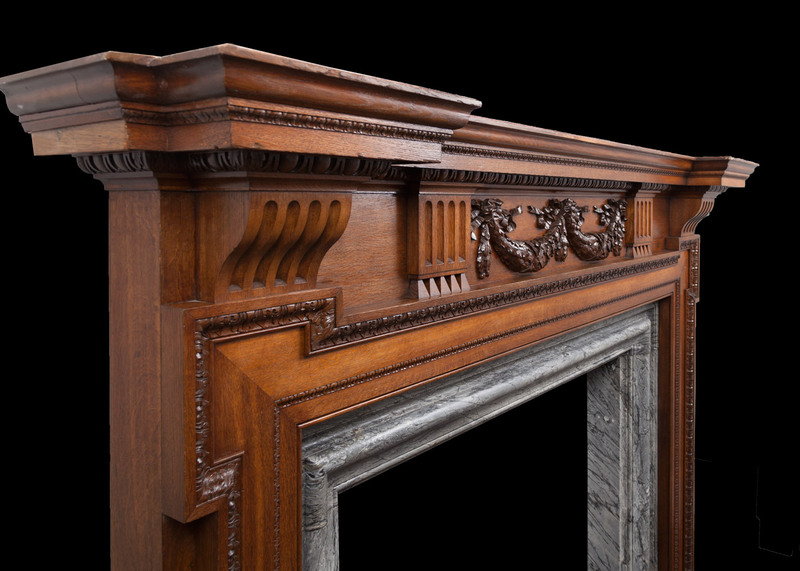 The fireplace features a centre frieze with swags of acorns, dog-leg cornered architrave mouldings with fluted corbels and an egg and dart break-fronted cornice. 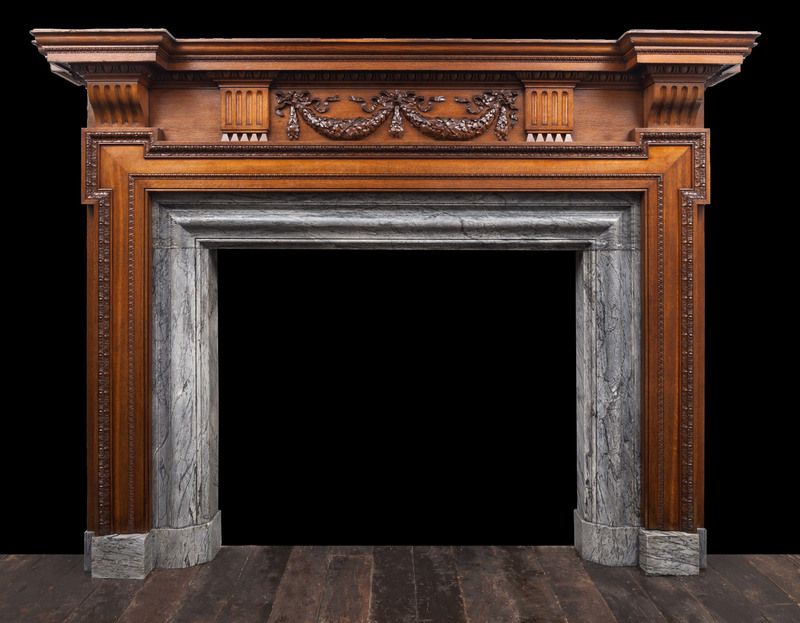 Inside the timber opening is a beautifully veined grey bardiglio marble bolection on plain plinths. 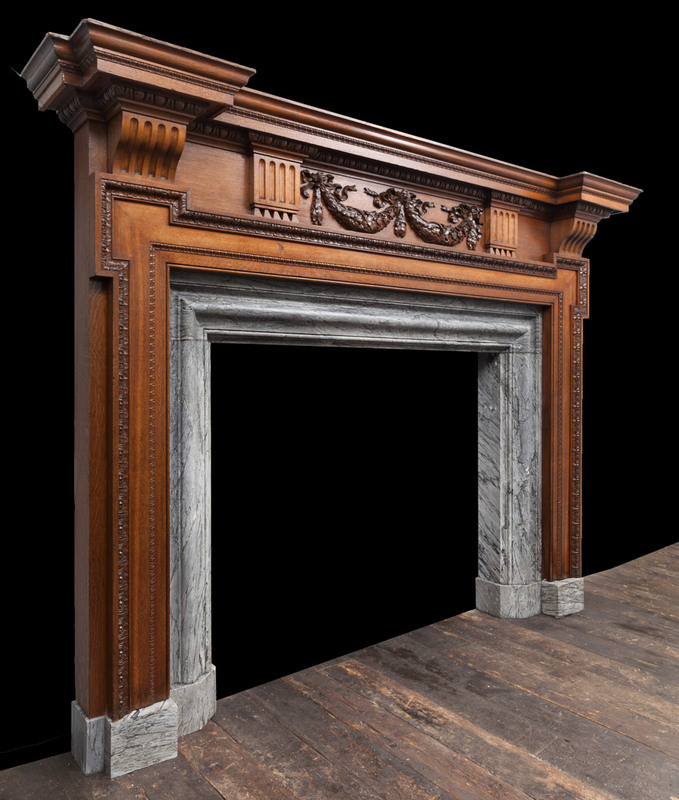 Originally made for a London city centre property.